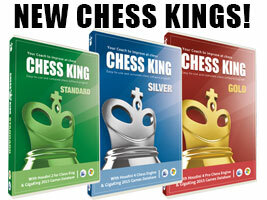 We’re pleased to introduce brand new versions of Chess King, updated with GigaKing 2015 and several new features. Best of all, each version comes with both PC & Mac installers, and they are all as affordable as ever, either for purchase or for upgrade. You can’t afford to train without Chess King! Check it out here and buy it here.